The more expensive fuel for Rinat Akhmetov's mine will be refunded from the budget. 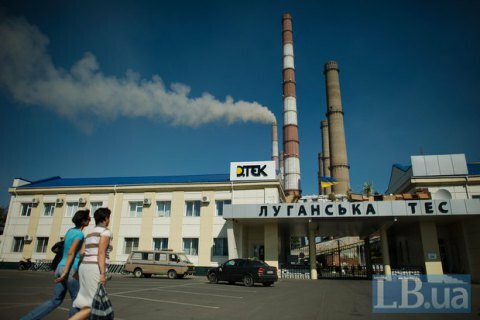 A private cogeneration plant in the government-controlled town of Shchastya, Luhansk Region has switched to gas because of coal deficit as of 6 November, the deputy head of the regional state administration, Yuriy Klymenko, has said on Facebook. "The cogeneration plant in Shchastya is now processing gas because it is impossible to bring coal by railway across Russia. A decision on this was taken by the government and Naftogaz. In parallel, we will be pushing for a quota on coal imports, as it was before, from the Russian territory," he said. Working on gas is significantly more expensive but the official said, the heating and hot water tariffs for households would not increase. "We are working on keeping the situation under control," he said. The plant provides 90% of electricity required by the region. It used to receive coal from DTEK's mines in Russia, Obukhovskaya and Dalnyaya. There is no railway access to the mine from the side of Ukraine.